We have a winner for the month of January! Congratulations to Erin Crawford, an MAHCP Member Advocate, for being our third Window Sticker contest winner. This contest is open to all MAHCP members and the monthly prize is a $50 gift card of the winner’s choice. 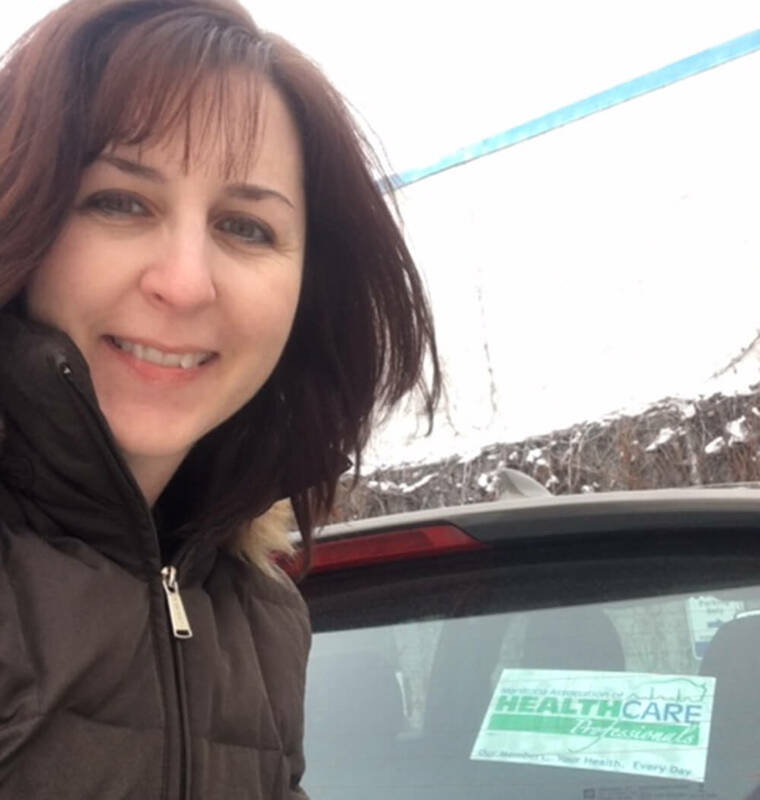 Here’s how to enter: Please place this sticker in a safe, unobtrusive part of your vehicle’s windows, take a selfie of yourself (or ask a friend to snap a pic) with the sticker visible, and send it into mahcpcontest@mahcp.ca for your chance to win a gift card. For those who sent in a picture but were not selected, your name stays in the pot for the following month, so those who have entered since the contest started at the MAHCP AGM in October still have a chance to win. The goal of this contest is to increase our visibility day-to-day among our fellow Winnipeggers around the city and beyond the Perimeter. We’re planning on keeping this contest going over the next few months, so enter as soon as you can for more chances to win. There will be stickers available at upcoming site meetings with MAHCP President Bob Moroz. Please visit our website mahcp.ca often to view our calendar, located right on our home page. Events will be added as meeting rooms are booked. In addition, members can pick up stickers at the MAHCP office located at 101-1500 Notre Dame Ave. from Monday to Friday, between 8:30 a.m. and 4:30 p.m.
Good luck to all who enter our contest!